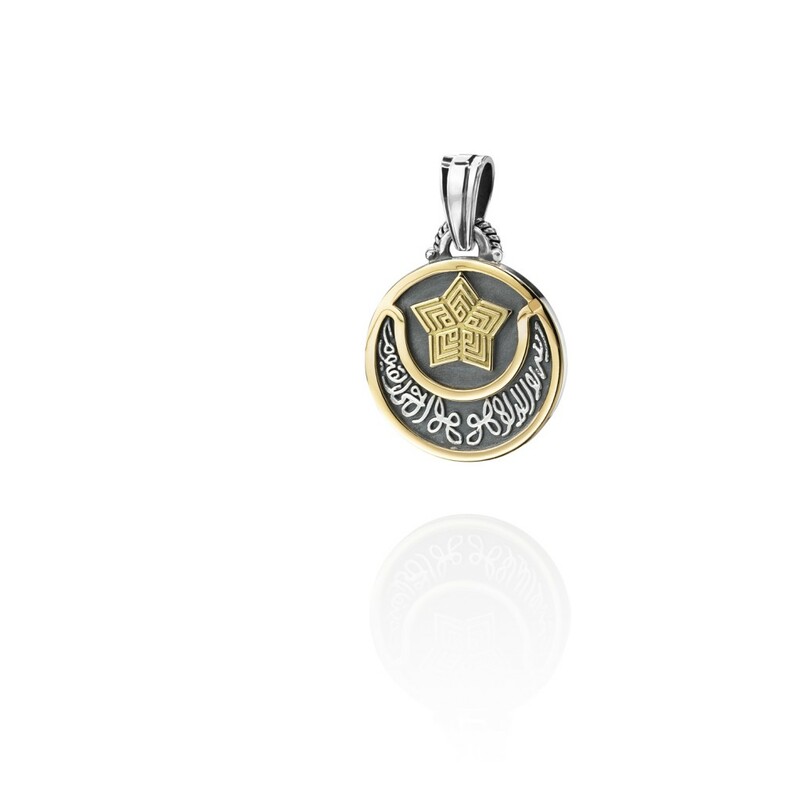 This beautiful Locket Charm in 18kt Gold and Sterling Silver is set with pave diamonds and adorned with the calligraphy inscription “GOD” . 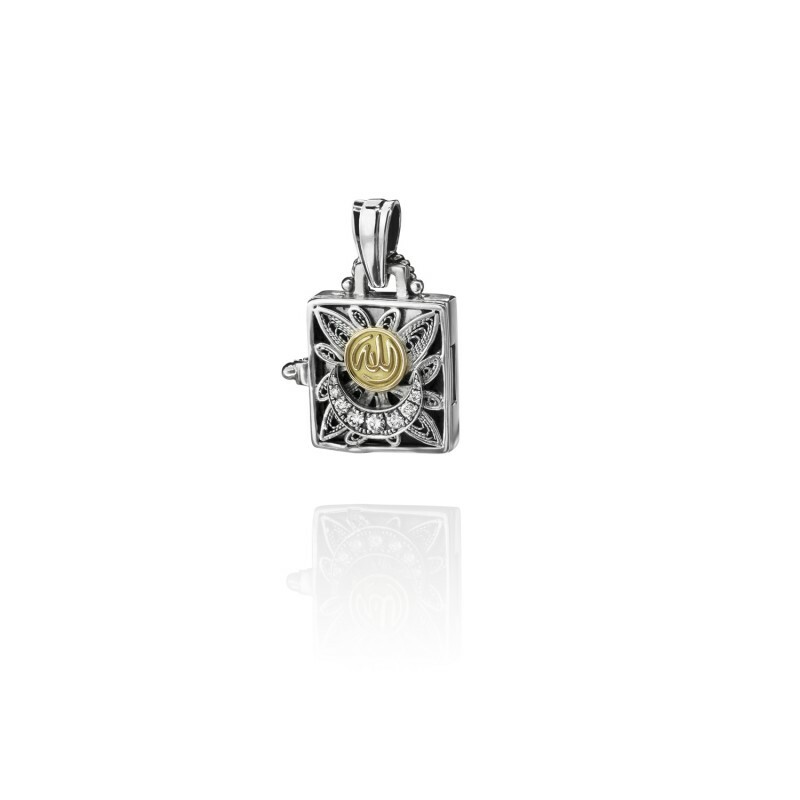 Featuring exquisite filigree work this beautiful charm resembles a real Qur’an book from the inside, by Azza Fahmy. 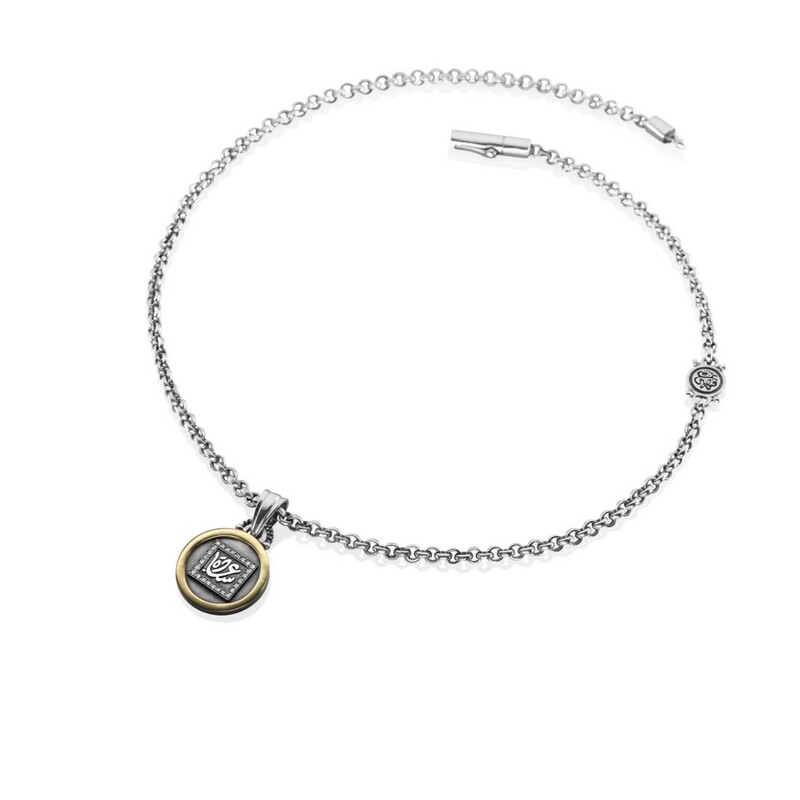 Designed to be worn with matching ‘Happiness’ Charm Bracelet or Charm Pendant Necklace.